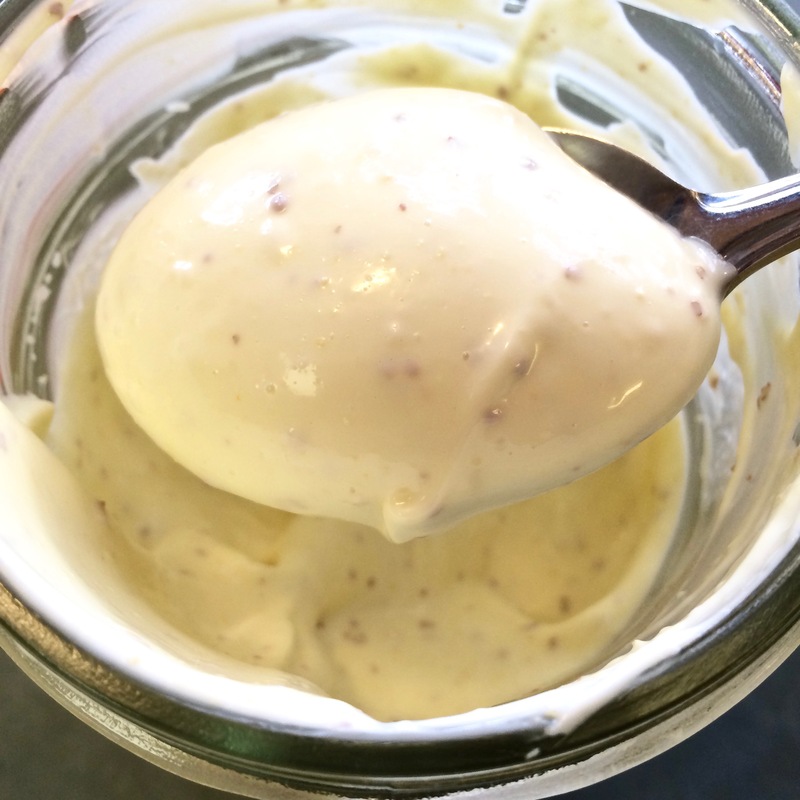 The ubiquitous mayonnaise is used in so many ways, from fresh to grilling to oven baking. 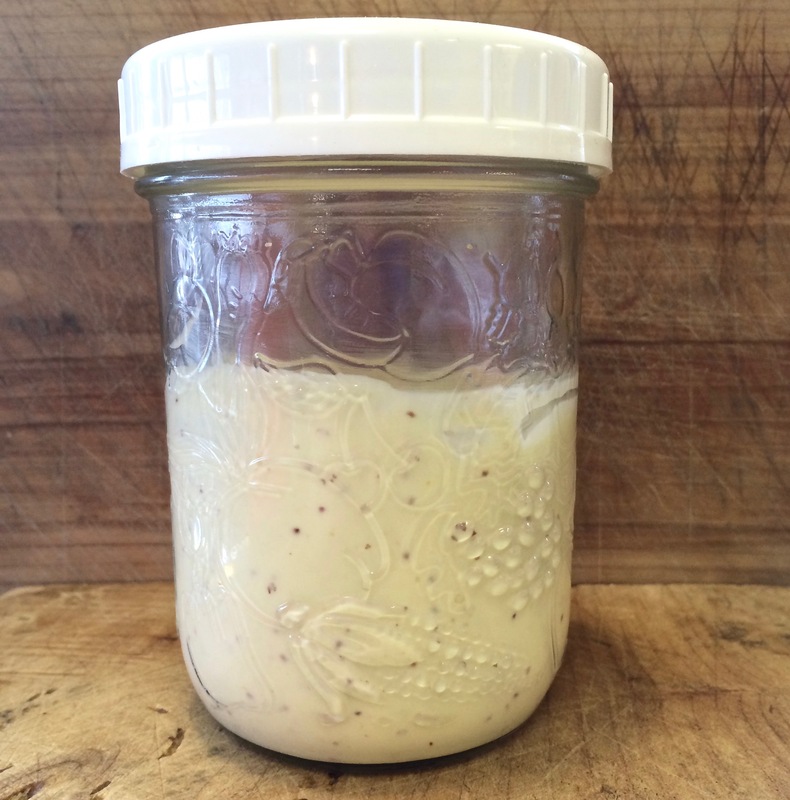 It is one of the simplest emulsions, using five ingredients. Taught to make it by whisking vigorously, I was more than happy to start using my immersion blender to do the work for me. 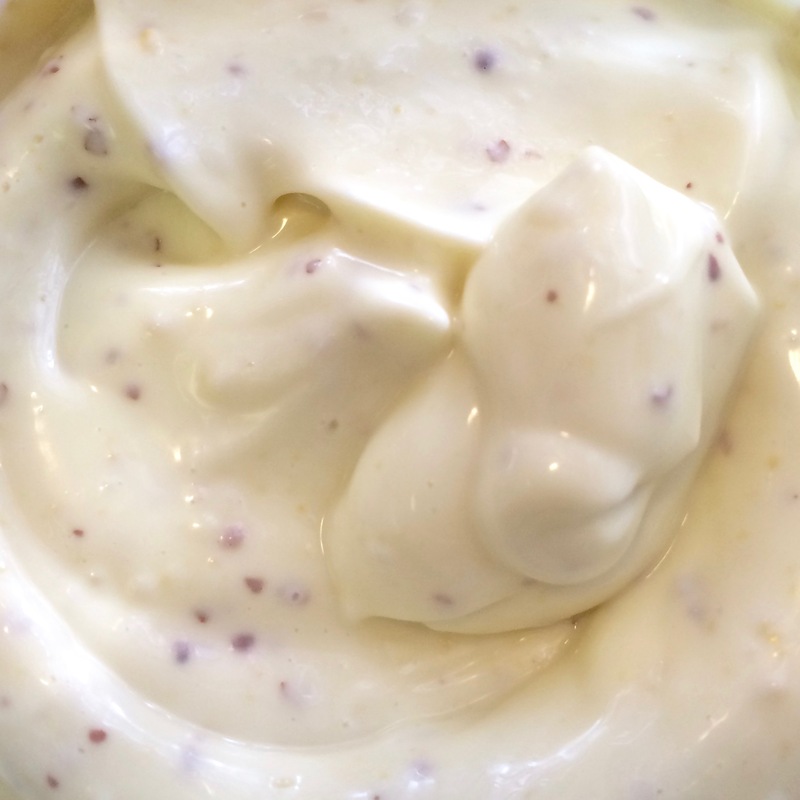 This is really incredibly easy, and will make you question why you buy mayonnaise. I make it in pint jars, so no bowl or cup to clean out, just a measuring cup to put in the top of the dishwasher along with the working end of the blender. It is so nice knowing exactly what is in this oft-used spread. 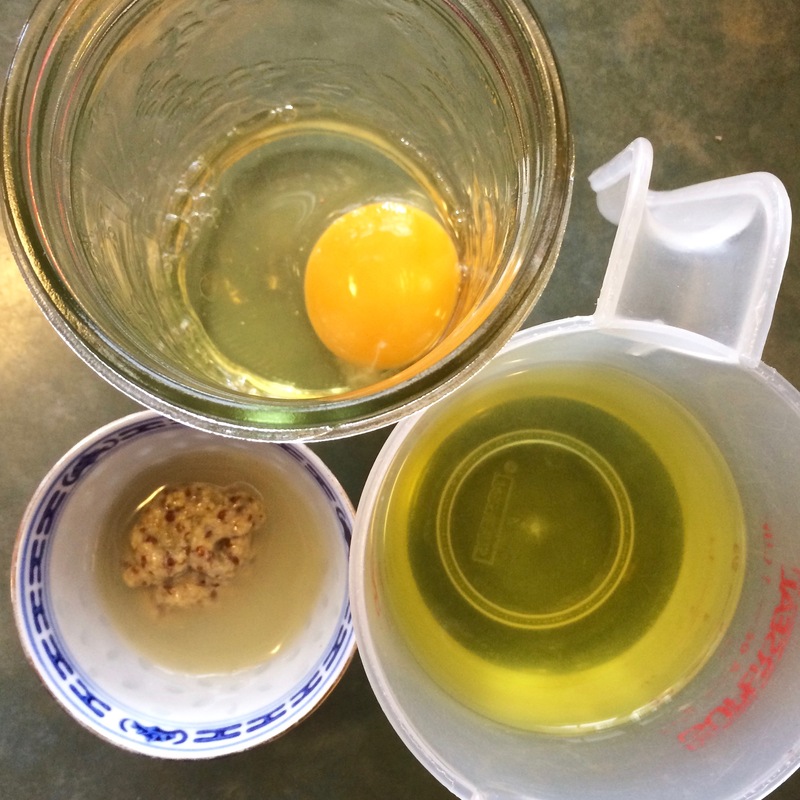 Put the egg, Dijon, lemon juice (or vinegar), and salt in a 500 ml canning jar. 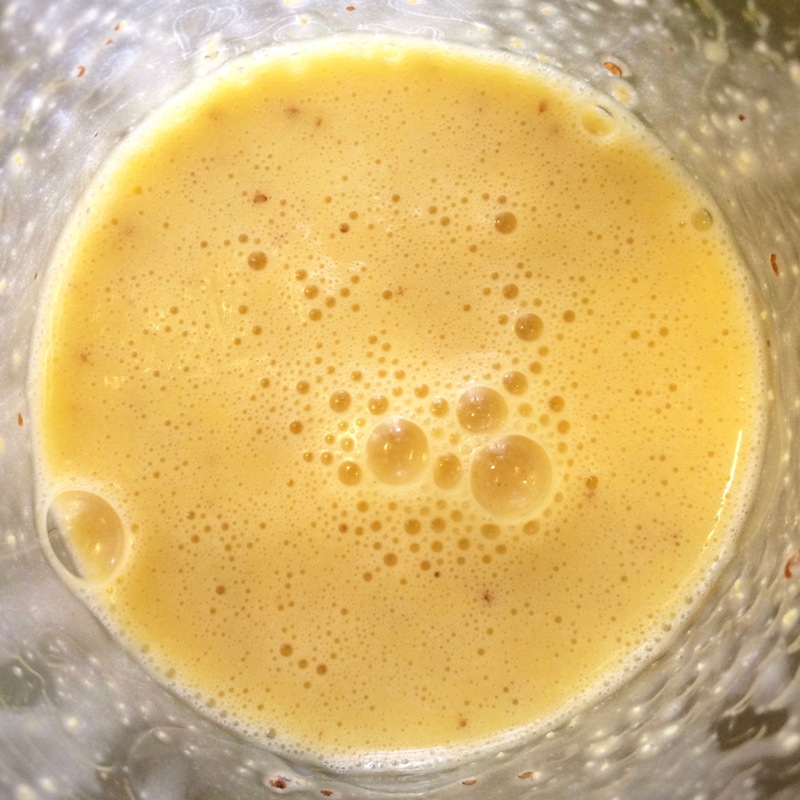 Using an immersion blender, mix the ingredients on medium speed until absolutely uniform, about 5-6 seconds. 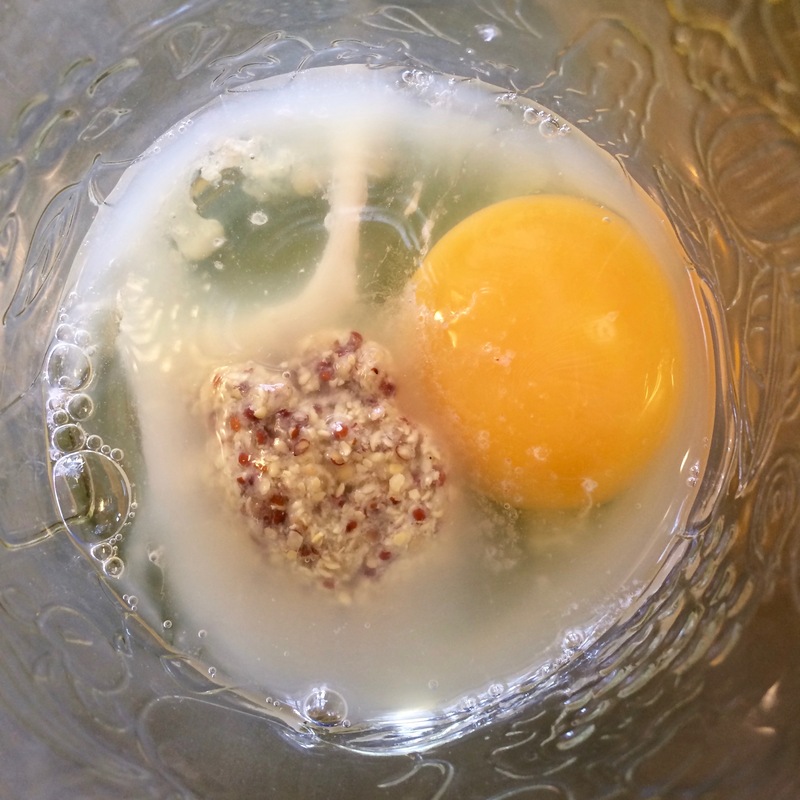 Add in the oil of your choice, and using the blender process until the mixture becomes thick and creamy white. This takes 20-25 seconds, and you’re done! Store covered in the fridge for up to two weeks.